Trading for Dummies? Use Metatrader Expert Advisors! How to Use MetaTrader Expert Advisors (EA) to Test Your Strategy! As computer technology continues to dominate every part of our working lives, special tools have been developed to automate trading activities and simplify the process of finding (and executing) high probability positions. Since there are literally thousands of tradable assets (stocks, bonds, currencies, commodities, etc) it is virtually impossible for human beings to monitor all possible trades on all time frames. In many cases, binary options traders will remedy these problems by simply focusing on a few different assets. But the fact remains that this will result in many missed trading opportunities. What’s worse, the trades that you actually do take might have lower probabilities for gains. 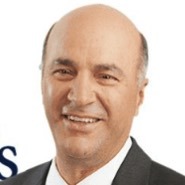 This reality puts binary options traders in a difficult position. Should you try to focus on a few assets or put in the effort to watch a larger number of assets? Luckily, there are computer-based solutions that can enable you do actively monitor a much larger number of assets and actually put in less effort. Here, we will look at the use of Expert Advisors to trade binary options in Metatrader. You can make trading easier with tools, something that probably everyone knows already. 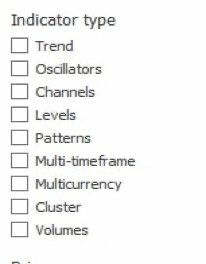 But the short list of indicators and tools you see in MetaTrader charting package are not the only tools available. In fact, there are tens of thousands of custom made indicators, tools and signals (also known as “Expert Advisors”) made by traders all around the globe and many are free! Happen to always be away when your Oscillator signals an overbought/oversold entry? Having difficulties identifying pinbars or drawing trendlines? 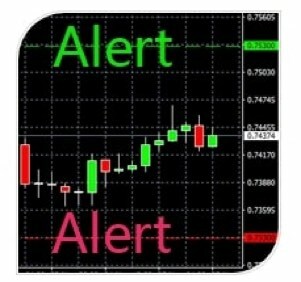 The solutions already exist: use a custom made tool to make trading a little bit easier by sending you an alert! What is the MetaTrader Expert Advisors (EA’s)? An Expert Advisor (or EA) is trading software written specifically for Metatrader. EAs are able to alert traders of certain changes in price activity (for example if an asset’s price rises above its 100-day moving average), and then base trades on certain pre-defined parameters. These trades can be executed automatically, even complete with stop losses and profit targets. Traditionally, EAs have been used for spot trading, rather than binary options. But now that we are starting to see brokers offer the Metatrader platform to binary options traders, we will almost certainly see the use of EAs rapidly increase in popularity. EAs are highly flexible, customizable, and informative pieces of software that are able to interpret and analyze all of the price information that is processed through the trading station. This essentially means that traders can define specific trading parameters and then monitor all available assets to identify new trading opportunities. You don’t even need to be in front of your computer to do this. 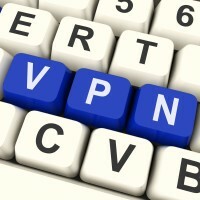 In fact, some traders run their Metatrader stations through Virtual Proxy Servers (VPS). This means your home computer does not even need to be turned on in order for you to have trades trigger. Custom made tools are simply indicators or “codes” that run a certain function such as recognizing a certain kind of candlestick or when MACD crosses the 0-line. The features they run depends on what they were programmed for. For example, indicators that automatically draw support and resistance lines on your charts based on previous history like the Pivot Point Calculator. Or the “Pinbar Detector” which could surely come in handy for beginners who want to try the Pinocchio Binary Options Trading Strategy. Where to Find Expert Advisors? There are literally hundreds, maybe thousands, of EA’s to choose from. There are indicators that simply tell you which market is open, what the elapsed time per candlestick is, or even which news announcements are about to be released. The user interface is always different too; some of these tools are arrow based tools, color based, sound alert based, strategy based with email notification etc… Just a warning, none of these are get-rich-quick tools and therefore, you should always try them on a demo account first. The Railway track indicator is price action based where the “rails” (one bear and one bull candle) occur during reversals and the signals are produced during a retracement inside the main trend. It uses arrows to point out the Railways and it’s best to use them in the direction of the trend. In the picture above you can see two signals being generated on the hourly timeframe of EURUSD. One signals a call (blue arrow) and one signals a put (red arrow). The winning signal was the put because the trend was mainly bearish as price was descending – the Railway itself consist of the two candles right before the red arrow (one bullish and one bearish). 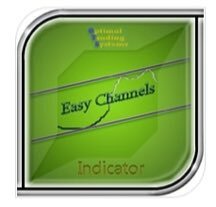 The Easy Channels tool does exactly what the name says, it draws channels for you. Unless you have mastered price action, you might find it hard to spot channels or don’t even realize there is one until it is too late. This tool does the job for you and you can learn from it by observing how and where it places its lines! Best part is that you can easily use it to build your own channel trading strategy. Price Touching Alert tool could spare you from having to sit down all day waiting for the price to reach a certain level, either a support or resistance line, so you can execute that call or put option. So don’t stare at the charts all day till you get a headache – get yourself a custom indicator that alerts you when price gets there! You can set two levels with this tool, an upper and a lower one and then go do your chores. Picture of Alert tool, set up lower (red) and upper (green) target. How to Use Expert Advisors? EAs are relatively simple to install in your trading station. The process does become more difficult when designing the parameters of your own EA. To be sure, there are many EAs that are sold on the internet that have pre-defined parameters and claim to have high rates of accuracy. As with anything, it is buyer beware and it always makes sense to test these “trading robots” on a demo account before committing real money. If you choose to design your own EA, the specific of your own trading style will be highly important. Are you a trend trader? If so, EA signals can be sent when indicator readings suggest a strong trend is in place. Do you trade based on Fibonacci retracements? If so, you can set trades to trigger once an important Fib level is hit after a major move. Additionally, specifics can be set for time frames and indicator readings, chart patterns, etc can be used in combination to strengthen the validity of your signals. There are literally millions of different ways to approach an EA programming, so there is always something available no matter what your trading style. Custom Made Tools – Where to Get Them? Installation is fairly simple when downloading from MQL. It will simply ask you which software to open the file with when you click the download button. Select MetaTrader (you must have MetaTrader installed). Next, open the “Navigator” window or press on your keyboard Ctrl+N. You should now see a bar on the left where you will be able to locate the folder named “Market” under “Indicators” – there is the indicator you just downloaded already installed and ready to use, drag and drop it on your charts and it’s done. Sometimes you may download the *.mq4 file directly in which case you simply put the file in the “Indicators” folder and restart your MetaTrader 4. In the latter case, you may find your indicator under Insert, Indicators and Custom Indicators. After downloading and installing the indicator, open the terminal by clicking Ctrl+R. You will see a window at the bottom and there, you can select indicator and then locate the folder “Market” where your downloaded indicator shall be (unless you put it somewhere else manually). Below you can see that I was running a test on the Railway Track indicator mentioned earlier above. I found it under “Market” and ran a test from December 2016 to the current date in 2017 to see how it performed. Find out more on how to test your binary options strategy using MetaTrader. EAs should be used when traders base most of their trading decisions on technical analysis. EAs will not be useful for fundamental strategies or news trading because there is no way to quantify the importance of all available economic data (we still need humans in order to do that). But if your positions are usually based on chart analysis, an EA can be a highly valuable part of your trading arsenal. EAs are also valuable for traders that cannot constantly monitor their trading stations, or have difficulty monitoring a large number of assets. If we are able to monitor a larger number of assets, it is easier to find the highest probability trading scenarios that are currently available. EAs make this possible, where human effort simply cannot match-up. EAs are also create for newer traders that have not yet developed their own strategies. Until recently, the Metatrader platform has only been available to spot forex traders. This means limited access for binary options traders and no ability to program EAs that execute positions. But this has changed, and binary options brokers now have the Metatrader platform available for clients. So, it makes sense to start looking at some potential EA programs to use in your trading because we will start to see a much larger number of EAs available for options traders in the next few years. Don’t miss out on the incredible power of these tools, as they will open the door for many trades you would have missed otherwise!